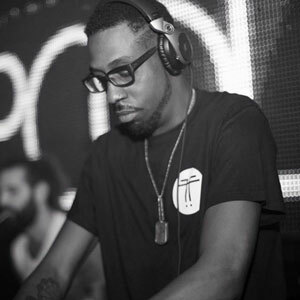 Strongly engaged with his city, Gene performed Chicago’s Wavefront Festival in 2012 and 2013, hosts ‘Gene Farris & Friends’ monthly at Primary, and frequents the booth at Spy Bar. Working closely with fellow Chicago house legend Cajmere, AKA Green Velvet, has resulted in over 15 collaborative singles! ‘O’Darlin’ from their 2014 Jungle Love EP on Cajual hit number one on TraxSource, with Gene producing 3 additional number one hits that year. He went on to sweep the overall 2014 charts: ‘Move Your Body’, ‘Rules of Engagement’ and ‘Cosmos’ took #1, #3 and #5 respectively in top 100 Techno Tracks of the year; ‘The Way To Go’ topped the 2014 Jackin chart at #1; ‘O’ Darlin’ took #2 in Soulful House, and to top it off, the #3 best selling Album of the year went to Gene, for ‘Cosmos’ (Relief Records). 2015 is all about turning up the momentum. With his first dirtybird release currently bumping in the clubs, tracks dropping on Visonquest, Defected, Cajual and Relief this spring, and a packed performance calendar, it’s clear that Gene’s insatiable drive and talent keep him on the cutting edge, and sharing his wealth of music with the world.